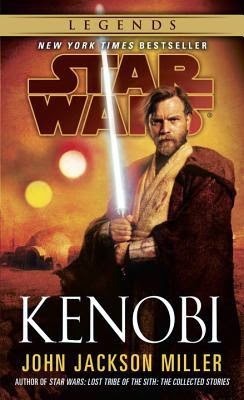 I went to my local Chapters today to pick up the newly released (in mass market paperback) Star Wars: Kenobi. I know what you’re thinking: “Aren’t you the guy who just wrote an essay on why old books are better and buying from used book stores is a good way to support local economy.” Well yes. I also buy new books. Sue me. A Female Cashier scanned my books and took my payment. A Male Cashier nearby comes and snoops at the books I’m buying. “Oh neat, but I already own it.” (It’ll be reviewed someday, I promise). 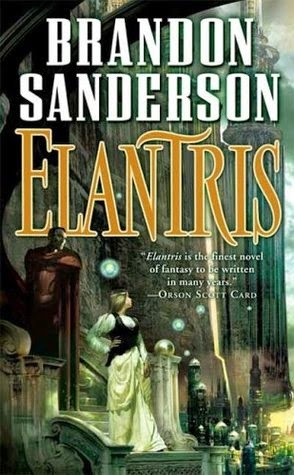 Needless to say, I was very pleased that Chapters and the co-ed Cashiers are pimping out Sanderson. 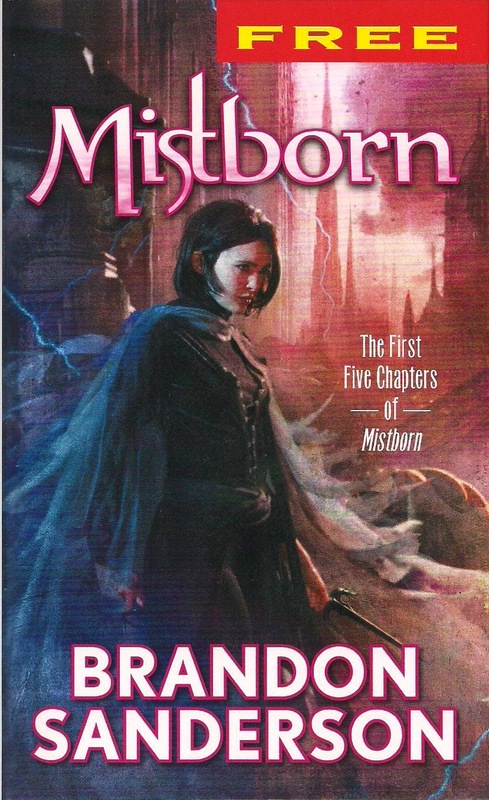 It was doubly awesome because while in the aisle, for a brief moment, I almost chose to buy Mistborn. I chose not to because I have a big to read pile and I’d rather not get committed to yet another trilogy or series at this time. The really cool thing is that The Way of Kings collects the entire first part of the novel. That’s nearly 200 pages! Both books together are nearly 300 pages of free fantasy goodness. 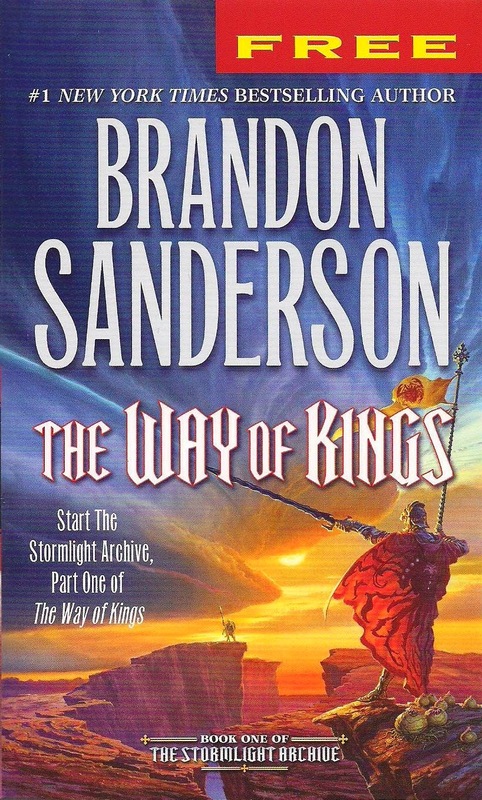 For those who have seen the mass market paperback of The Way of Kings it’s fat. It’s so thick it’s difficult to hold. When I eventually get to reading it I’ll probably start reading the sample book just because it’ll be easier to hold. Once I’m done I’ll most on to the complete, ultra thick, copy. I might do a little giveaway contest once I’m done reading the sampler. Don’t keep your eyes peeled or anything. It’s likely going to take some time. Until then enjoy you non-free books while I enjoy this awesome sampler by a fantasy novelist I really like.